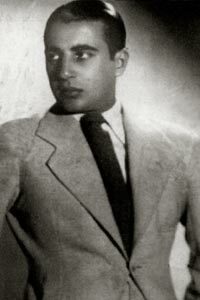 "Tal vez será su voz" by Lucio Demare y su Orquesta Típica with Raúl Berón, 1943. “Tal vez será su voz” by Lucio Demare y su Orquesta Típica with Raúl Berón, 1943. An innate faculty for musical invention and a delicate creative temper identified, from the very beginning, the characteristics of his oeuvre. Involved, by reasons of intimate aesthetic affinity with the Romantic school that was born with the tangos written by Cobián and Delfino, he shared with the latter and with Francisco De Caro, Carlos Vicente Geroni Flores, and with Julio De Caro’s style, when he composed pieces like “Copacabana (Nido de amor)”, and with the Agustín Bardi of “Nunca tuvo novio”, a front line of romantic songs of first class released between 1915 and 1935, a period of height of this formal and moody variety of tango. “Mañanitas de Montmartre”, “Musett”, “Capricho de amor”, “Dandy”, “Mi musa campera”, his oeuvre composed between 1926 y 1932, characterized with its overt lyricism and its melodic richness, that initial time of his output. Later, in a musical hyerarchy parallel to that of Eduardo Pereyra, Joaquín Mora and Aníbal Troilo —among others— he released “Yo era un corazón” and a series of songs with lyrics by Homero Manzi: “Telón”, “Hermana”, “Mañana zarpa un barco”, “Malena”, “Solamente ella”, “Tal vez será mi alcohol” that inspired and promoted the selected repertoire that shaped the tango of the forties. Continue reading.